A New Hampshire woman who won a $559.7 million Powerball jackpot in January wants to remain anonymous. But the Merrimack resident's identity could be revealed because she signed the winning ticket with her name. After the Jan. 6 drawing, the nation's eighth-largest lottery jackpot, Jane Doe said she signed the back the ticket as directed by information on the agency's website. She thought she was required to do so to redeem her prize. 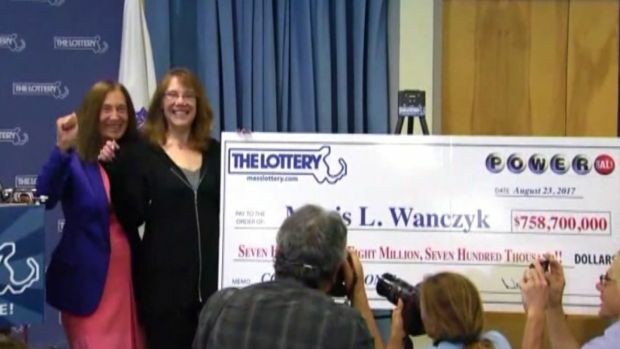 Under New Hampshire law, a lottery winner's name, town and prize amount are public information. But after the woman contacted a lawyer, she learned that she could have shielded her identity by instead writing the name of a trust. The woman hasn't turned in her ticket yet, but she showed lottery officials a photocopy of the front. She said lottery officials told her they would be compelled to disclose her identity if someone filed a Right to Know request. Her lawyers argue her privacy interest outweighs the insignificant public interest in disclosing her name. "While we respect this player's desire to remain anonymous, state statutes and lottery rules clearly dictate protocols," New Hampshire Lottery Executive Director Charlie McIntyre said in a statement. Lottery officials consulted with state lawyers and said they must process the winning ticket "like any other," he said. The woman described herself as a life-long New Hampshire resident and "engaged community member." The filing says she has set up a trust and plans to contribute a portion of her winnings to charity. 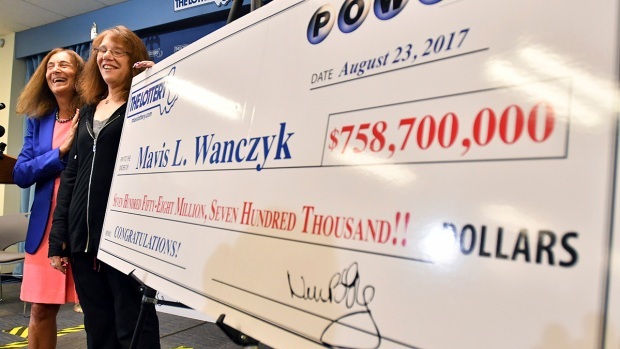 Police in Chicopee, Massachusetts are warning social media users about fake accounts being created under Powerball winner Mavis Wanczyk's name. The fake accounts appear on Facebook, Twitter and Instagram, telling people to follow Wanczyk in exchange for money. The ticket was bought at Reeds Ferry Market in Merrimack, N.H. The owner, who also claimed a $75,000 prize for selling the lucky ticket, said he would also want to remain anonymous if had hit the jackpot. "I don't blame her. I would do the same," said market owner Sam Safa. "I did not win the jackpot, I just sold the ticket and I'm already getting a ton of phone calls from people, some of them asking for donations."